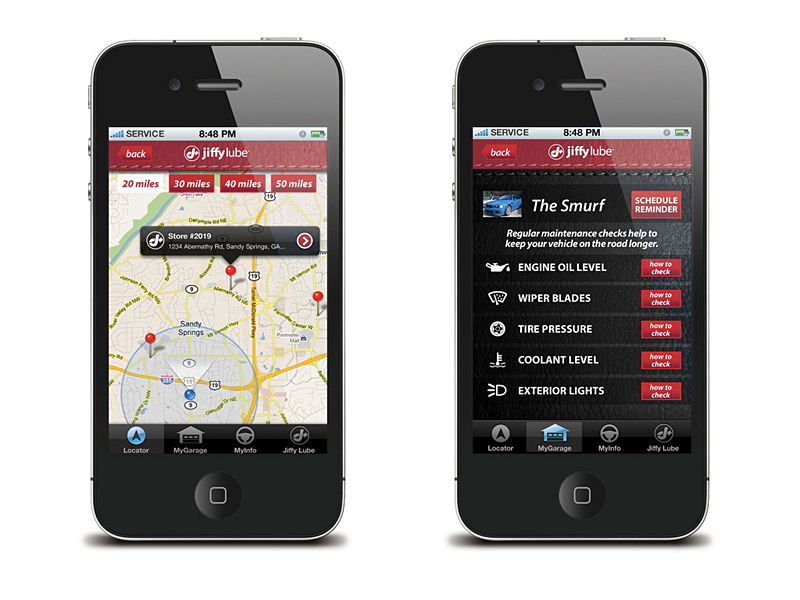 Have you downloaded the Jiffy Lube App, yet? You can find locations, set reminders, store vital records, get tips, and download coupons. 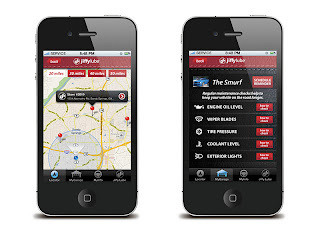 The tools you need to help keep your vehicle in top shape, right at your fingertips! Just download the app for FREE from the App Store for iPhones or from Google Play for Androids. Find the nearest Jiffy Lube location. Get directions and store info, all in one location. Schedule reminders for important routine maintenance checks, such as oil change, tire pressure, coolant level and wiper blades. Each item on the list provides you with “how-to” instructions to walk you through each step. Conveniently store photos of important vehicle documents such as registration, insurance card, license plate, and oil change sticker. Car tips are also provided as a quick, handy reference in the event of an emergency, such as jump starting a battery. This section offers a detailed list of services offered at Jiffy Lube, information on warranties, and detailed information on oil. Jiffy Lube of Indiana is always ready to help you out and keep your vehicle on the road. Just stop on by, no appointment necessary!